Hello and Welcome to “The Science Dog”! Let me introduce myself. 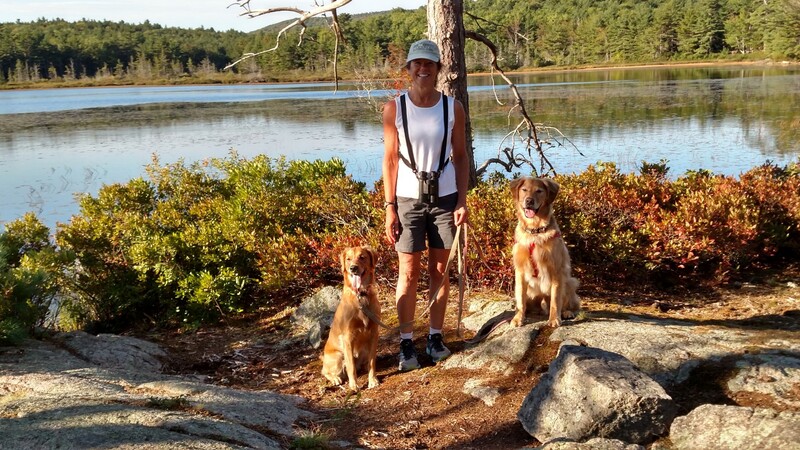 My name is Linda Case and I am a dog trainer, canine nutritionist and science writer who specializes in topics about dog training, behavior and nutrition. My academic training is in animal sciences, specifically in canine/feline nutrition and companion animal behavior and training. I have a B.S. in Animal Science from Cornell University and an M.S. in Canine/Feline Nutrition earned at the University of Illinois. Following graduate school, I taught the undergraduate program in companion animal science in the Animal Sciences Department at the University of Illinois for 15 years and also taught companion animal behavior/training at the College of Veterinary Medicine for 5 years. I left academia a few years ago to concentrate more on writing and training and am the owner of AutumnGold Consulting and Dog Training Center in Central Illinois (http://www.autumngoldconsulting.com ). I am the author of numerous publications and eight books. 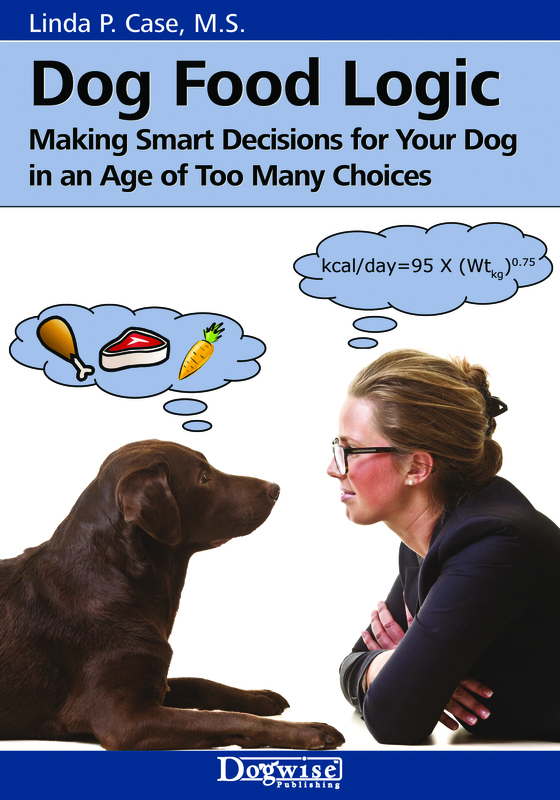 My most recent books are “Dog Smart: Evidence-based Training with The Science Dog” (2018), Beware the Straw Man: The Science Dog Examines Dog Training Fact and Fiction” (2016) and “Dog Food Logic: Making Smart Decisions for Your Dog in an Age of Too Many Choices” (2014). Information about all of my dog books can be found in the Books section of this blog. 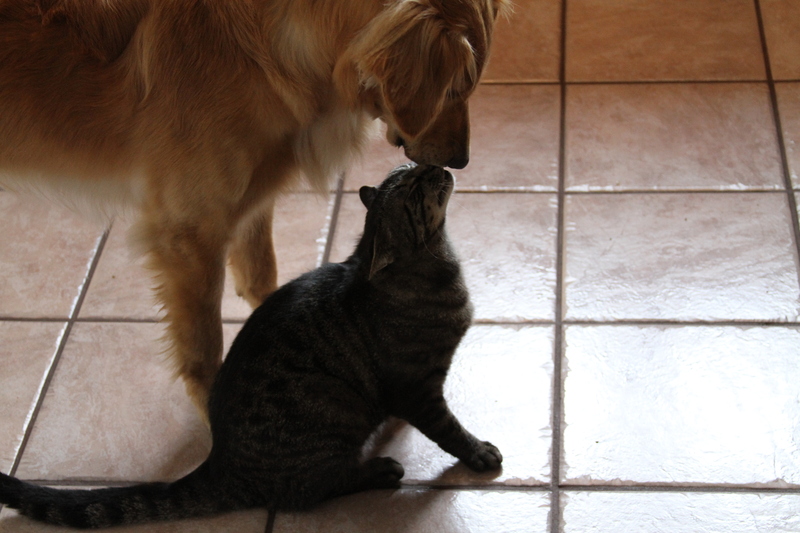 My husband Mike and I live with and love two dogs; Cooper, and Alice (aka Ally) and Pete, the (formerly feral) cat. In a nutshell, my work, my life and my happiness revolve fully and completely around dogs. I write about dogs, train dogs, teach other folks about dogs, play, run, hike and cuddle with dogs, and am fully capable of talking for hours on end about……dogs! Like many of you who are interested in this blog, I consider myself to be a card-carrying, lifetime, proud member of the “dog person” club. 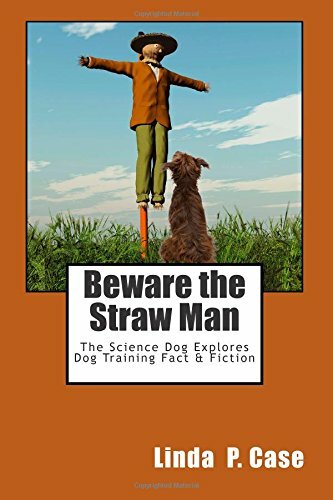 I’m nearly done with “Beware the Straw Man” and am enjoying thoroughly. Regarding dog parks, I’m not a big fan of the small enclosed dog parks, but we have one here in Addison, IL that’s about 80 acres. I find that there are less popular areas where my dog and I used to be able to walk (I am currently dogless) with few interactions with other dogs, This way the dog is off leash, having fun and I’ve only have one altercation in several years. So if the area is big enough to avoid competition, but only involves occasional passers-by, I’m not totally against dog parks. Thanks Graham – I am glad that you enjoyed it! I am very impressed with your new book Linda, excellent and very thought provoking. As it relates to nutrition, here’s a question that’s come up. With cold weather coming, many blogs and articles, some from veterinarians, have advised people to increase their dog’s food, as more energy is used in the cold. But, during the warmer weather my dogs spend hours running around outside and on long walks and hikes. With freezing temperatures we spend much less time on outside trips, and they choose to play less in the dog run. With those dogs who mainly go only on walks and spend similar time outside through the year, I can see their advice. But for many others, does the marked decrease in outside activity effect their energy needs more or less than the cold? Is generally applying their advice on food often wrong? As for my guys, I just weigh them every two weeks and judge from that. Likely no simple answer here, but some more qualified advice might be useful. I am having a problem with 2 of my three dogs eating either their own or the other dogs’ poop. Is there a recommended product I can add to their diet other than the powder deterrent which had not worked? All three dogs are on different but appropriate dry dog foods as supervised by our vet. I thought to email you direct but think this is the best I might do. I have JUST read an interesting article re childhood stress and changes in genetic expression. It should lead to an interesting article from you — well, one I’d like to read, anyway. And one more question (so sorry!) — does your book contain recipes or input for making our own dog food or does it concentrate on making choices among the commercial options available? Many thanks and so sorry. Okay, well just ignore my previous question! I see you wrote the book and I will buy it now. If you can think of any other resources that you found useful, I’d welcome them. I so enjoy this blog. It’s jammed with helpful things. Sorry I missed the obvious earlier. Hi, I wanted to ask you about food. I notice your site has a link to a book that helps owners figure out best way to feed their dogs. Do you recommend it? Are there others you can suggest? The food our dog is used to can’t be used any more. She’s a 14-year-old Cairn terrier who is pretty healthy but has some issues. We are thinking about alternatives including making some but we wonder if that is going overboard. Thoughts? Thanks for following me, Millie and Pearl! I’ve been browsing your interesting and informative blog and will be following back. What a really great connection! All because of your recent decision to follow Learning from Dogs. 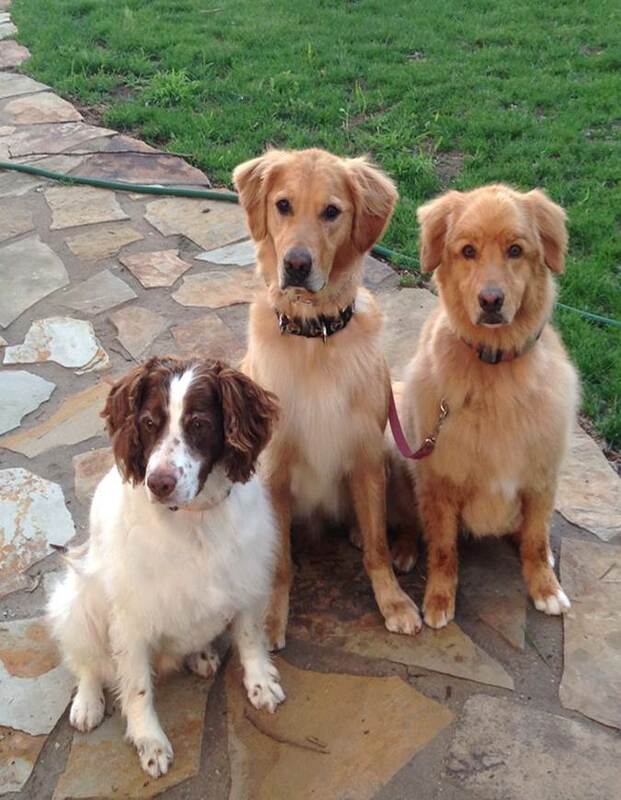 Would love you to share some of your doggie stories over at LfD! (We currently have 9 dogs at this end, together with a few other animals!!) So, Linda, thank you! Hi Linda, thank you for the follow. I just found you through a friend on FB and loved the recent post about children, dogs, and the studies of how parents respond so differently from their children to training. I love anything that protects dogs and raises awareness of what makes dogs (and their humans) tick, or not. I love anything about dogs. So I think I am going to love this blog. Hello Linda. I recently found your blog and find the articles very interesting. I like how the stories you share are based on science and research studies. I look forward to learning from your blog in both the material and how your site has become so successful. Hello linda, I’m really glad to have come across your blog, i have been looking for a really good one for a while and your’s hit the nail on the head. I’m studying to become a Canine Behaviourist and as I’m reading your blog its like your talking from my mind. At the moment I’m studying about cognitive learning and also the phycology of a dogs mind. There isn’t one thing I can think of that I do not want to learn. Im hoping to one day write my own books and articles and I have so many ideas but I’m only 2. So right now I’m going to dedicate as many years as I can to as many courses as i can. It would be brilliant if i could have your email in order to contact you and ask a few questions and maybe discuss behavioural science?. Keep going and i look forward to reading more, Take care. Thanks so much! I’d love to read the article: Adapting to the human world: Dogs’ responsiveness to our social cues. Also, I sent you an email about freestyle class. Hi Jane! Thanks for your note and question. I agree completely that, as a trainer, dogs are much more adept at attending to and responding to non-verbal cues than to verbal cues. For example, we almost always teach a verbal cue by first pairing it with a non-verbal cue and then slowly fading the non-verbal cue until the dog responds only to the verbal cue. The only time that this differs of course is with teaching hand-signals for Utility. Still, I think that even with utility hand signals the only reason a dog needs this is because the verbal cue has already been trained to proficiency. Anyway, studies of non-verbal cues……I think there are a few. I have a paper by Pam Reid that I think is a review paper (I have not read it yet…..it is “in the pile”), entitle: “Adapting to the human world: Dogs’ responsiveness to our social cues”. (If you would like it, send me an email and I can send you the pdf). I hope to do a Science Dog blog on it, but it may be a bit. Hi, Linda; I have a question for the Science Dog Doc.It’s about how dogs perceive our cues. In my experience, I find that dogs are such good readers of environmental and body language cues and that the verbal cues upon which we humans love to use ad nauseum take a great deal of training once the dog has learned the behavior. And that the dog will almost always default to the non-verbal over the verbal. Now, I find myself involved in multiple dog sports…which involve dog behaviors that may be different, similar, or exactly the same across the sports. Keeping the cues (environmental, body language, and verbal) consistent and designing new cues has been quite a challenge. 1. Move in a 360 degree turn (circle): clockwise and counterclockwise. Dash can twirl and spin on verbal cue with a very small hand signal. Will he interpret that “circle” as the same movement when I add a prop like a cane or my body (circle the cane or circle my body)? 2. Move in a sideways fashion (side passes): with body parallel to me, both of us move in the same direction sideways in both directions (towards me and away from me). On both sides of my body. So…Does Dash perceive the movement to his right as the same cue when he is on my left and moving towards me as when he is on my right moving away from me? Hoping that there is some additional or new science that I can learn! Linda, thank you! I am always looking for the research that backs up my no force training philosophy and appreciate your great communication style! 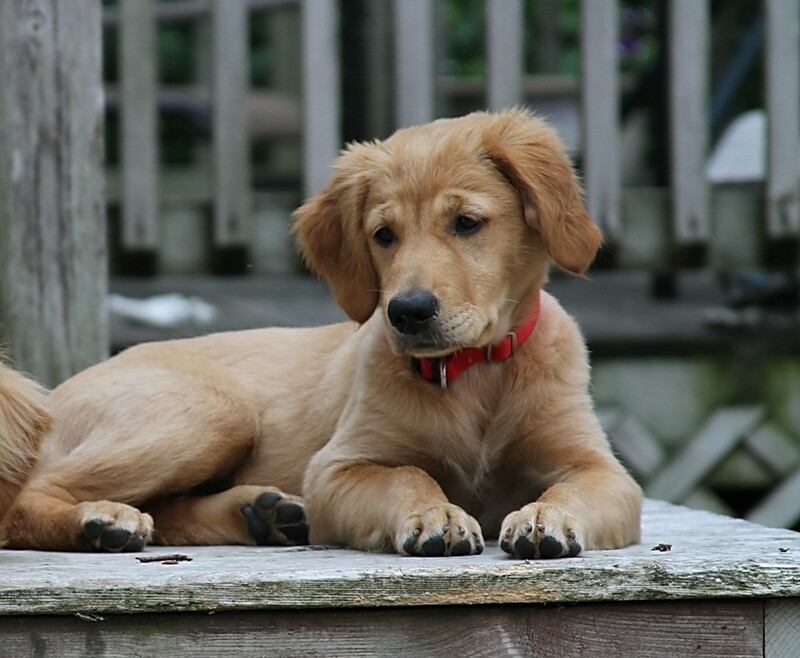 Hi Judy, Thanks for following The Science Dog blog and for your kind words! Please feel welcome to comment and suggest topics. Currently I am concentrating primarily on behavior and training, but plan to include current nutrition and feeding research topics once my new book is published. All comments and thoughts are welcome! Thank you Ken! I look forward to following your blog as well! It looks like we have a lot of common interests! I really like your new blog and the scientific philosophy that guides it. I will be following it. Thanks. I am pleased to have caught wind of your blog . I am interested in not only how to be a better human for my boys but to apply what I learn to dogs in need in my not so progressive area. This is so exciting and I am anxious to read what you have in store for your blog. Of course, I will throw topics or issues out there as they come to mind. Hello and welcome to The Science Dog! Please do feel welcome to comment on blogs and to suggest topics. A new blog will be posted in a few days!